Society for Healthcare Volunteer Leaders - Diamond Conference Sponsor - You Are the Crowning Jewel of 2019! Diamond Conference Sponsor - You Are the Crowning Jewel of 2019! 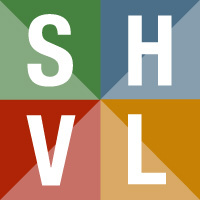 YOUR Company name and logo to appear first on Home Page AND Conference Section of the SHVL website as 2019 DIAMOND PRESENTING Sponsor. o Added to the electronic version of the conference program brochure. o Added to every email blast sent about the conference. o Appear on front of all Vendor Listings. o Included first on daily attendee schedules. o Projection of DIAMOND Sponsorship logo in Opening Ceremony Program and throughout entire conference. Representation and opportunity to speak at the Opening Ceremony to include up to two reserved tables with meals. First Choice of Booth placement at Vendor Show. Sponsor shall be provided access to attendee list two weeks prior to conference. Company supplied brochures included in registration packets for all attendees. Five invitations (10 attendees) to the Tops Hats and Tiaras GALA.